Trying to beat the heat during the warmer months means keeping the AC on "arctic", downing ice-cold brews, and taking the kind of cold showers you usually reserve for date night. Or, you can peruse our list of the ATL's best boozy slushies, cake shakes, bacon pudding pops, and other frozen treats that'll keep you sweat-free this Summer. Puddin' Pops D.B.A. 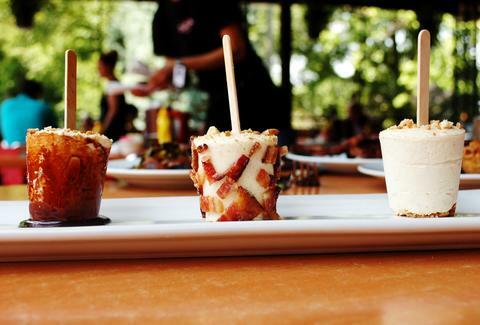 Barbecue 1190 N Highland Ave NE Ste B; Virginia Highland; 404.249.5000 The VaHi 'cue house known for its porky slabs of goodness, also goes hog wild with their frozen Puddin' Pops (pictured above). With flavors like strawberry cheesecake, Key lime pie, and even a bacon banana puddin' number, your call for a cool treat to beat the heat has been answered. 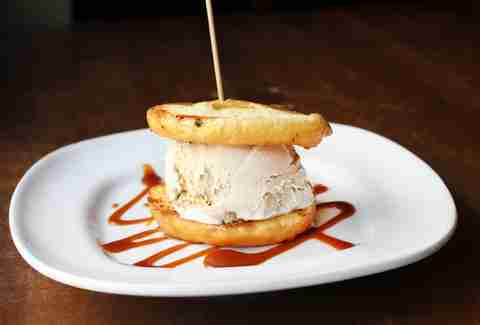 The Midtown watering hole's beer selection might be a good start, but it's their off-menu Sublime Donut Ice Cream Sandwich that'll have you cool as a cucumber, partly because it's cold and partly because you know that it exists. It's a Sublime glazed donut (made solely for Cypress), grilled up and sandwiched around a heaping dollop of Frozen Pints' Malted Milk Chocolate Stout beer ice cream, which should make becoming stout even more enjoyable. 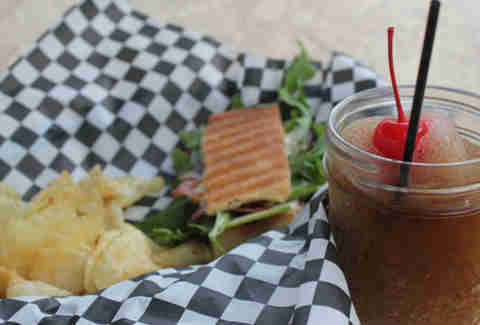 The Inman Park gourmet sandwich shop takes the frozen Coke slushies you remember scoring at movie theaters when you were growing up, and then adds something that, as far as your parents and law enforcement know, you totally never tried growing up: Jack Daniel's. 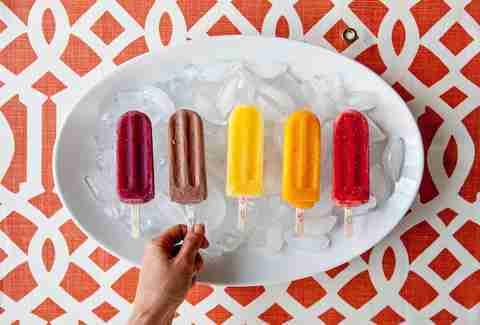 Popsicles might seem like they're just for kids, but King of Pops has all kinds of gourmet, adult-appropriate flavors like Chocolate Sea Salt, Watermelon Mojito, and Grapefruit Jalapeño. Catch the cart all year-round at various street corners, festivals, and events, and even score boozy versions, called "Poptails", at all Corner Tavern locations throughout the Summer. 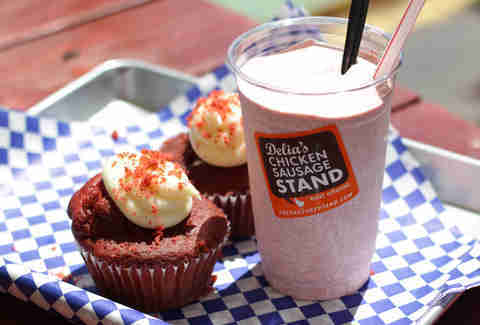 As if turning out a shton of proprietary links everyday wasn't enough, this East Atlanta sausage stand is also turning out Cake Shakes that blend locally sourced milk with Madagascar vanilla and -- here's the kicker -- an entire cupcake, icing and all, into a super thick and creamy treat in flavors like this Red Velvet one.